ARCAS Executive Director Miriam Monterroso and Administrative Director Colum Muccio take the lead on ARCAS’s networking and policy-reform activities. ARCAS participates in a variety of national and regional forums and consortiums. 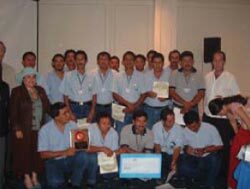 As a member of the National Association of Environmental NGOS (ASOREMA) and the Guatemalan Committee of the World Conservation Union (IUCN), and as a board member of the National Council of Protected Areas (CONAP), ARCAS has worked on a variety of policy issues, including debates about the granting of oil exploration licenses, the formulation of environmental legislation and the regulation of sea turtle egg collection in Guatemala. It is also monitoring megaprojects, including mining and the proposed creation of a dry canal on the Pacific coast of Guatemala. ARCAS Administrative Director Colum Muccio leads ARCAS’s participation in national and regional sea turtle conservation efforts, including membership on the IUCN Marine Turtle Specialists Group and the Eastern Pacific Hawksbill Sea Turtle Initiative (ICAPO, http://www.hawksbill.org). Colum is also country coordinator of the Wider Caribbean Sea Turtle Conservation Network (http://www.widecast.org). 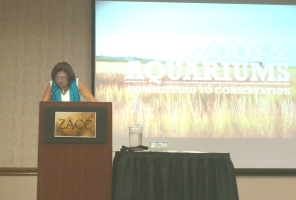 ARCAS is a board member of the Zoos and Aquariums Committed to Conservation (ZACC), a consortium of North American and European zoos administrators working to encourage zoos to make a bigger commitment to in-situ wildlife conservation.